Lynda J. Grant is an accomplished lawyer with over 30 years of experience representing shareholders, limited partners, consumers and others in class actions and derivative suits. She has been repeatedly selected as a New York Metro Super Lawyer, and served as a co-chair of the American Bar Association’s (“ABA”) Securities Litigation and Class Actions and Derivative Suits Committees. She is presently the co-chair of the ABA Securities Litigation Book Committee and is co-writing a book regarding Delaware Chancery Court practice. She was named by Sky Radio as one of the top women lawyers in the corporate governance area. 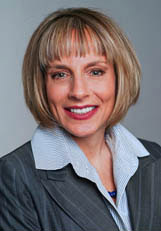 Prior to founding TheGrantLawFirm, Ms. Grant was a partner in two major plaintiffs’ class action firms. She has recently added data breach cases to her already impressive roster of matters. Early in her career, she specialized in representing limited partners who were subject to unfair tender offers by their general partners, and by way of those cases, significantly shaped the fiduciary duty law in Delaware governing the rights of limited partners. She is also well known in the merger and acquisition area, among other things, having helped obtain an injunction of a $160 million defensive recapitalization of Arvida/JMB, and having commenced the action In Re Real Estate Associates Limited Partnership, which eventually resulted in a $184 million jury trial. More recently, she was able to obtain the disclosure of free cash flows in a proxy seeking approval of the merger between AMAG Pharmaceuticals, Inc. and Allos Therapeutics, Inc. Thereafter, the AMAG shareholders rejected the merger. She has been involved in litigating major securities class actions and derivative actions arising from mismanagement and corporate governance violations. For instance, she led a nine year action against Canadian financial giant, Canadian Imperial Bank of Commerce. In this action, she successfully tried a books and records action, and substantially defeated both motions to dismiss and for summary judgment. She also obtained major corporate therapeutic changes to Bovie Medical Corp. (“Bovie”), as part of settlement valued at over $13 million, and was part of a team which provided millions of dollars in benefits to Google, Inc. shareholders. Ms. Grant is a sought after speaker on securities litigation and corporate governance issues, and was interviewed on the Dylan Ratigan Show concerning the action Brown v. Blankfein,et al. contesting bonuses paid to Goldman Sachs executives after the financial crisis. Continuing Education Panel: Telephonic: 2007: The Impact of In re Polymedica Corp. Sec. Litig.